Share the post "Understanding Calcified Fibroids"
What is a calcified fibroid? A calcified fibroid is when a fibroid has reached the final stage of degeneration, or cell death and calcium deposits develop on the remaining fibroid tissue. Fibroids are benign tumors that grow in or on the uterine walls. 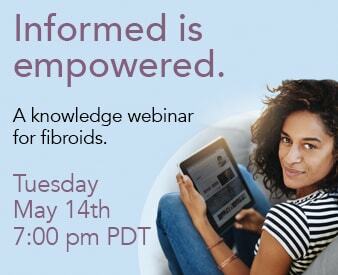 Each woman with fibroids has a unique experience including the rate of growth. When a fibroid grows quickly, it can become too large to be sustained by the blood vessel supplying it with the oxygen and nutrients necessary to keep the growth alive. Fibroid degeneration is most common as a woman approaches menopause. The hormonal change often stimulates fibroid growth, leading to degeneration and the build up of calcium deposits. When a woman’s fibroid(s) calcify, it indicated the end stages of degeneration and she may experience less pain or abnormal periods than during the growth and degeneration periods. When the calcified fibroid is large, it may put pressure on the bladder and bowel causing the need for frequent urination, incontinence issues, constipation, or diarrhea. A woman may also experience some pain or uncomfortable pressure in her lower abdomen or waist. If calcification occurs before menopause, the woman may experience increased or heavier flow durin her period. Calcified fibroids can also cause complications in pregnancy including miscarriage, premature placenta detachment, or breech positioning. How are calcified fibroids treated? There are a variety of treatments available for calcified fibroids. The first step in any treatment plan should be a thorough diagnostic assessment including a detailed conversation about the symptoms, a pelvic exam, and imaging tests, if necessary. The symptoms common to fibroids can also be caused by other conditions such as uterine polyps, polycystic ovary syndrome, or endometriosis. The treatments for each condition are different, so an accurate diagnosis is essential to effective treatment. Many doctors will suggest a conservative approach to treating fibroids including the use of over the counter NSAID painkillers or ibuprofen to address pain and cramping. Some women may also benefit from birth control pills to regulate their hormones or progesterone creams to provide relief from some of the discomfort associated with calcified fibroids. In more severe cases, the doctor may recommend a myomectomy, which is the removal of the fibroid, or a hysterectomy if the fibroid is too large or embedded in the uterine wall. However, for many women, by the time a fibroid reaches the calcification stage, the worst of her symptoms are over and if the fibroid is not negatively affecting her fertility, some doctors may suggest doing nothing and waiting out. What should I do if I have a calcified fibroid? 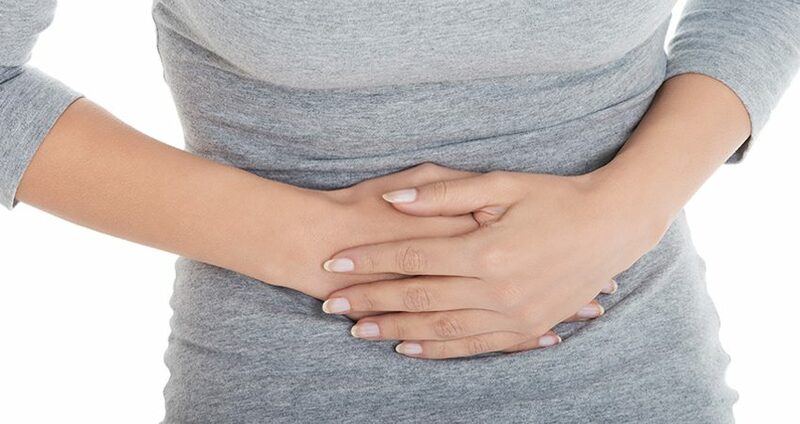 If you have a calcified fibroid, it is highly likely that you have experienced some painful symptoms including abnormal or heavy periods, severe cramping and abdominal pain, urinary issues, weight gain, and/or swelling in the lower waist. You may have already seen a doctor about these symptoms and are in a treatment plan. If you haven’t, make an appointment for diagnosis. The doctors at the Fibroid Treatment Center in Beverly Hill, California, are the leading fibroid specialists in the United States and offer thorough testing and treatment for women of all ages suffering from fibroids. They take women’s health and wellbeing seriously and have pioneered innovative treatments to shrink and remove fibroids, improving many women’s quality of life. If you have questions or concerns about fibroids, contact the Fibroid Treatment Center today on (800) 645-6095.